If you have enough budgets, buy mold locally that close your location for better management. If you don't, buy it from China/India or somewhere else in cheap price. That would require you to have a better audit to find several good suppliers, have a team to manage you projects to make sure the tool shops build the tools with the right process or following the guidelines. Several reasons make the mold quality not stable and creeping up with price. I had many years' experience work with the mould maker who is from China, and I work in mold shop over 11 years, so I know how to get the reasonable price and keep the mold quality. So if you want to buy moulds from China, first you must know the process for build molds. Mold shops know many ways to save cost, and some ways not affect the mold quality but some will be. Find the ways could save cost but affect the mould quality and avoid them happen then you could get both low price and high quality mold. I have seen over a hundred moulds being made in China instead of manufactured locally. And I can count on one hand those that actually work on delivery (for a variety of reasons). 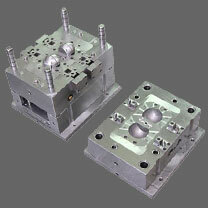 Keep mold manufacturing in-house if possible, or at least in your area. Your will have control over quality, repairs/modifications are easier to do. So your budget makes it feasible to outsource molds to china and other countries. This is good from a finance point. The bad side is when tools are brought back into Germany for example to mould nobody will touch them when they go wrong or need modifications and if they do the cost applied would of made it the same price at the start as if it was made in Germany. Tool construction / quality in China and other countries may be not as good as a local shop. Germany may be more expensive for initial tool but they run fully auto and correct procedures are followed. China beat Germany hands down on low manual labor costs when assembling or trimming molded parts.